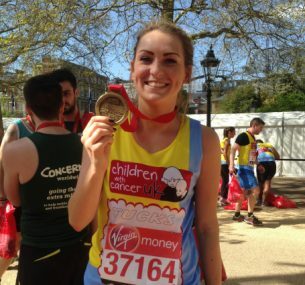 My name is Katie Tucker, and as some people will already know, I previously ran London in 2014 for Children with Cancer UK. For those that don’t, I finished the course in a time of 3 hours and 54 minutes (plus 20 seconds). I was overjoyed at this result as it was my first one and below my target of 4 hours. I had planned to run again in 2015 but unfortunately picked up a stress fracture in my tibia only 4 weeks out from the race. My dreams were shattered, but I’m fighting fit and ready to take on the challenge once again in 2017. As a first timer in 2014, I can completely relate to the fact that this challenge may be very daunting. There’s so much I learnt and gained so much knowledge from the process. I wish I knew a lot of things back then that I know now, but hopefully I can share these with you in this blog to make your experience the best one possible. It’s very important to have a plan in place leading up to the Marathon. Running a few times a week without structure won’t benefit you on the day. Ensure your plan includes run 3 – 5 times a week with one long run. 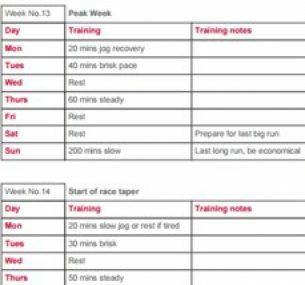 The plan needs to be progressive and gradually build up the weekly mileage to prevent injury and allow time for your body to progress. Take rest to recover and repair muscles. Hydrate, eat well, stretch out and sleep. Having a plan will help you to focus and keep you on track. Once you begin training you will soon realise that you are a runner and begin believing in this too. You are no longer the novice you once were. Take that new found title and ‘run’ with it. (No pun intended). Once you realise you are a runner, you will then begin to believe in yourself. Your mind can play a funny game at times throughout your training process. As they say, mindset over matter, and this really couldn’t be any more true. Once you begin to believe, your runs will improve, you will enjoy it more and your overall performance will excel. But again, positive thoughts only bring about positive energy. Remind yourself you can do this and you will. If you get any of these thoughts, take a piece of paper and write down; I can run a marathon. Having it in front of you will help you believe that you can. 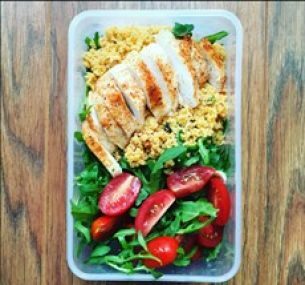 Eating good food and at the right times is crucial to get the most of your sessions. Runners are often advised to eat a lot of carbohydrates to fuel our runs. If you’re not well fuelled your performance will suffer. Balance the carbs with good sources of protein, such as chicken, eggs and lean beef, to help repair and grow your muscles. If I’m short for time, a banana is a great energy boost before a run. We all know that exercise and working out increases our metabolism. As the miles ramp up, so will your appetite. Keep healthy snacks to hand at all times, this will help to fuel your body correctly and ensure you don’t over eat at meal times. There have been stories of people actually putting on weight when training for a Marathon. It is useful to plan your nutrition as well as your training. Most people have an expectation of the time they would like to achieve their Marathon in, when they begin training. Don’t allow this to take over. Trust the process and focus on every individual run, one by one. If you take this approach you may be unexpectedly surprised by what your body is capable of on the day. At times you will feel tired over the upcoming months or even a feel a little niggle from an old injury. If you need to rest then do so, listen to what your body is saying to you and treat it well. It will thank you later on. As the long run mileage increases, you will begin to swap sociable Saturday nights out for Saturday nights in. I would advise to steer clear of alcohol before long runs. Feeling refreshed for your weekend runs is a beautiful feeling and will mean you can head out before most people have even got out of bed. All of that extra exercise and fresh air will do wonders! Your fitness will improve; you will see muscles appear that you never knew existed. All I can say is trust me. Long runs on Sundays will lead to tight muscles and a whole world of pain the next day. If there’s a lift available, take it! All of this running will wear you out. Sleep also affects us a lot more than we think. When we are tired our body creates a hormone which encourages us to eat. Get a good solid 7 – 8 hours in each day if you can. Stressing out will affect your performance in a negative manner.A lot of my friends and family were very aware of the amount of stress I put on myself back in 2014. I give everything I do 110% and would get worried if I missed a run or if it wasn’t as quick as I had wanted it to be. I now realise in hindsight that stressing out would not make me run quicker. If you miss a run, let it go, focus on the next run you have on your plan and have fun. As above, life gets in the way sometimes and we can’t always train when we had originally set out to. If you miss a run, don’t fret and don’t think you need to make up the miles elsewhere. Carry on with your plan and resume as normal. Eating a balanced diet will compliment your training. Think of your body like a car, giving a car the right fuel will make it work well and run efficiently. Our body is exactly the same. Give it what it needs and it will perform well. Eat a carbohydrate based meal 1 – 2 hours before a run and refuel with protein, carbohydrates and vegetables. A lot of research relies on a carbohydrate based diet for runners, but protein is also key to help build and repair muscles. Recovery and stretching is just as important as the running itself. Your muscles will be worked to their maximum over the upcoming months and will take the strain. Treat them well and they’ll be kind to you. I would also advise you to book in for a regular sports massage every 4 – 6 weeks of your training. It will help to prevent injury and keep you in peak condition. Physio isn’t only for those that are injured. Training for a marathon takes up a lot of time and you have to be very committed and dedicated. If you’re new to running there may be people around you who do not appreciate this and won’t understand what you’re doing. Grow your support network and link up with others who may be running a marathon. Instagram and Twitter are great for this. Follow others who are running a marathon or even if someone is running for the same charity as you. Talk and support each other through the good and hard times. I recognise now that you shouldn’t undervalue moral support others can give to you. Feel free to follow me at @cleancoachkatie on Twitter and Instagram. And feel free to send me a message if you are running London too. When I last trained for a Marathon I did most of my training solo. The best piece of advice I could give you is to join a running club. Most clubs aren’t professionals and there will be runners of all ages and abilities, welcoming you with open arms. You will be able to gain free knowledge from others who have gone through the process already, have others to run with when it’s dark and cold at this time of year and build a fantastic support network around you. Joining Redway Runners in Milton Keynes was the best decision I made. I’ve formed friendships for life and these people will make this journey over the next 4 months very enjoyable. If I can’t commit to a club run, I know I have friends to run with outside of the timetable, therefore having many opportunities to train. You see all over Facebook that people are constantly fundraising for marathons, obstacle runs and sky dives, all asking for you to donate to their very worthy cause. As someone who has done a lot of charity fundraising before, I now find that I have to offer alternative fundraising to reach my funds goal. Offer people the opportunity to take part in something as well as donating to charity. People will be more likely to give if they are also receiving something in return. In February I will be hosting a charity quiz night at a local curry house. I’ve secured a good deal on food with the restaurant and within the ticket price there will be a small donation to the charity. This means that all of my guests will get a 3 course meal, to be able to take part in the quiz and have a really fun night. Back in 2014 I was able to raise over £1,100 in one evening when I did this before. 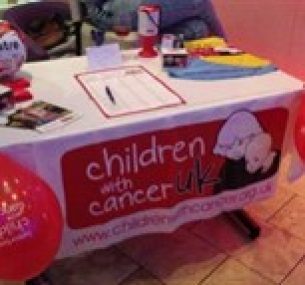 It was also an amazing opportunity to raise awareness of the Children with Cancer UK charity which was the most important thing of all. The charity will be able to support you with banners, posters and money collecting pots too. Send a few emails or make a few phone calls today and get organising your own event. 20) Remember you still have a social life! Please, please, please make time for your friends and family. Once the marathon has finished, normal life will resume and those friends who you neglected before may not be there. I’m not saying I lost friends over the process before, but I recognise that I did isolate myself at times and got lost in the moment. Having a social life will also help to keep you sane and remind you that there are other things apart from your trainers. You won’t need to run the full 26.2 miles before you reach the day itself. Aim to have your longest run about 3 or 4 weeks out from the race and run anywhere between 18 and 22 miles on this run. Your body will need time to recover to reach optimum condition on the day. Those final few miles, adrenaline will be your best friend. The atmosphere on the day is unforgettable and there really is no other race like London. The route has support the whole way round and the energy is electric. Enjoy it as it will pass in a blur. Soak up the experience as much as you can. Keep the same routine on race day as you have practiced within your training. I knew this before the last marathon but I feel this is really important to know. Don’t focus on what other gels other people may use on the day or what kit others are wearing. You’ve practiced your routine and it works well for you, so stick with it. Do your research before-hand on what gels and isotonic drinks the race organisers are offering and use these before to see if these work well for you. In 2014 I used the Science in Sport (SIS) gels as I got on best with these and the blackcurrant flavour is the bomb. The London Marathon gave out Lucozade products around the course, however, as I had not used these in training I did not take them when they were offered to me. Trial and error products throughout your training. No one wants to be Paula Radcliffe. I am very fortunate that I have family in London so was able to stay over the night before. I travelled down on the Saturday and visited the expo before having a relaxed day before the race. On race day I was able to get up and get across to the start line stress free, leaving me time to focus on the challenge ahead. If you can book accommodation early enough then I would recommend doing so. The last thing you want is to be worrying you won’t make it on time. In the week leading up to race day, I would advise that you get everything ready as early as possible. Lay it all out and take a picture, it will make it feel more real! Show off all of your hard efforts and relax. Trust your training as it will certainly pay off. 26) It will all be worth it! Think of the medal and the achievement. No one will ever be able to take this away from you. You are a marathon runner! After you’ve finished you’ll probably think “I’m never running a Marathon again” … Fast forward a few weeks, months or even the following year, I can guarantee that you’ll be signed up for another!